This 3D model was sculpted and painted entirely in Virtual Reality using MasterpieceVR. His name is “Claw-Bot” and although he is very useful and full of skill, he is also quite depressed in contemplating his state of being. 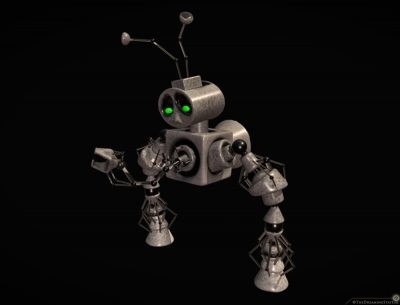 I used to do some 3D modeling years ago, but I felt there was a huge disconnect in working on a three-dimensional sculpture on a 2D screen with only a mouse and keyboard. This all changed with Virtual Reality… Now I am able to create a box right in front of me, move it around with my hands, subtract from it, paint areas, and then walk around it as if it is a real object in my room. I worked on this silly robot for a while, then made him as large as me and walked around my creation. I bought a program called MasterpieceVR, which is basically a modeling/sculpting tool that allows artists to create objects in virtual reality. 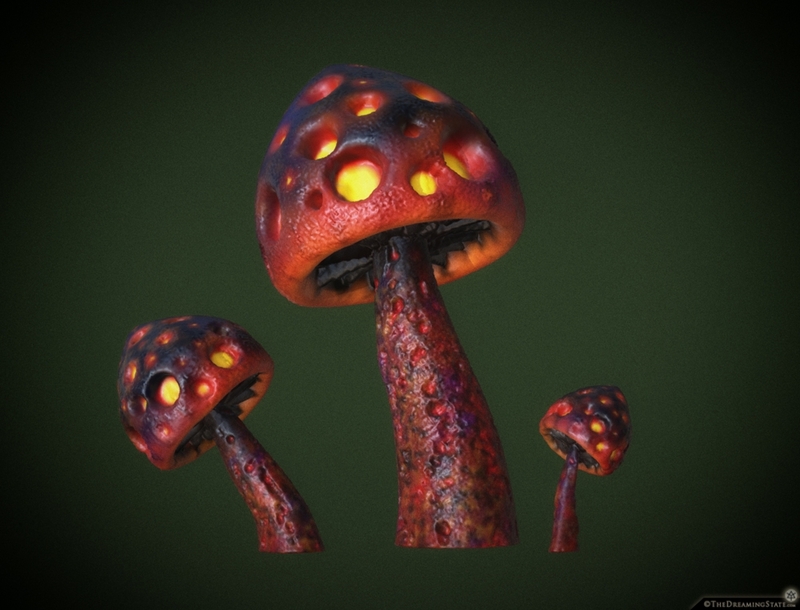 It’s an amazing application, with tons of tools and options, and a lot of future potential… As my first real sculpt, I made this cluster of strange looking mushrooms. They feel evil to me, so don’t eat them, and keep your distance! It was a really fun and amazing experience being able to add, subtract, texture, and even paint an object in VR. I have unlimited clay and no worries about messing up because I can always go back in time. I am not sure what this might lead to professionally (if anything), however, I already know it is something I plan to practice and learn a lot more about. I don’t usually relate concerts with art because for me they are entertainment and fun, but what is the difference? If you think about it, entertainment, art, and music are all one and the same… Tonight I got to see David Byrne, most known as the lead of the Talking Heads, play a show in Pennsylvania. I love the Talking Heads and own most of their albums on vinyl. David IS an artist at heart and had attended the Rhode Island School of Design in the early 1970’s (where I had spent a semester studying) before he dropped out and his band took shape. His love of art comes through in the amazing show he puts on. Each song had something special, a performance dance, lighting, props, and rather than having a drummer on a kit there were about 6 or more drummers with mounted drums, like a marching band, so that they could all walk and move around the stage. It was really a beautiful show, as is his new album “American Utopia”.